Ok, I guess we have one more spring football joke in us. 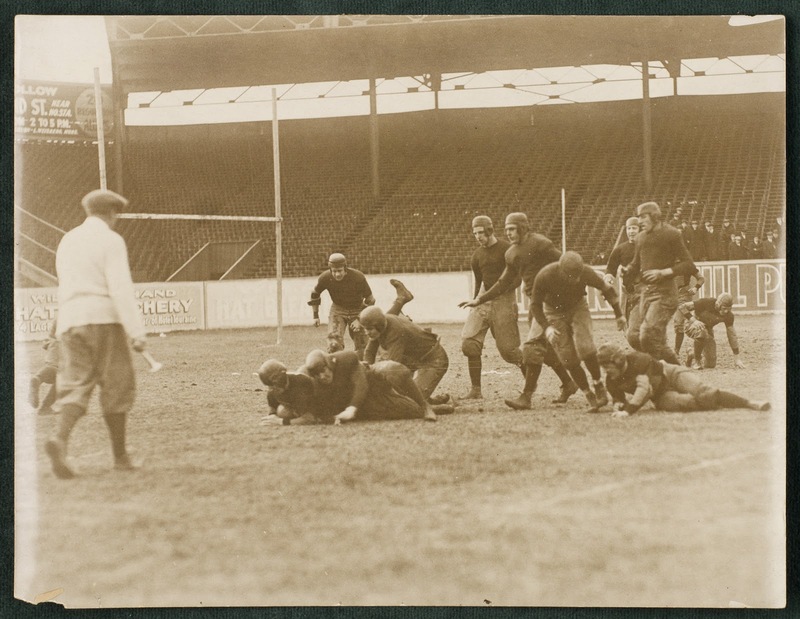 Do check out this awesome set of photos of BC football at Fenway in 1916, though. Update: Aw, the photo and link look down now. Will look for it again so we can make this bad joke. Update 2: Looks like direct links won't work, so you'll have to give a search on "bc holy cross 1916" on the link above if you want to catch the very cool photos. Got the photo here for you all, though.